IT'S TIME TO REVOLUTIONISE YOUR MULTIPLAYER GAMING, WITH THE INDUSTRY LEADING AND AWARD-WINNING TURTLE BEACH GAMING HEADSETS. DESIGNED FOR EVERY TYPE OF GAMER, THE INNOVATIVE AND ADVANCED TECHNOLOGY WILL HELP YOU MASTER YOUR SKILLS AND ENHANCE YOUR GAMEPLAY. 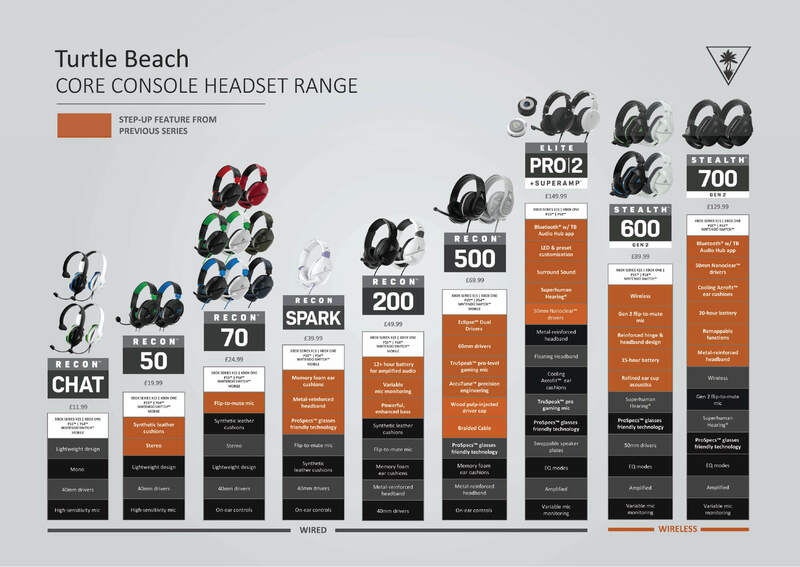 A TURTLE BEACH HEADSET WILL GIVE YOU A COMPETITIVE ADVANTAGE.